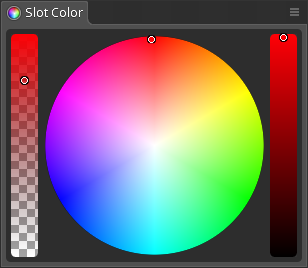 The Slot Color view displays a color chooser for the slots of the current selection. This makes changing slot colors faster and easier than clicking the color button in the slot's properties at the bottom of the tree. The Slot Color view adapts to fit when it is resized. 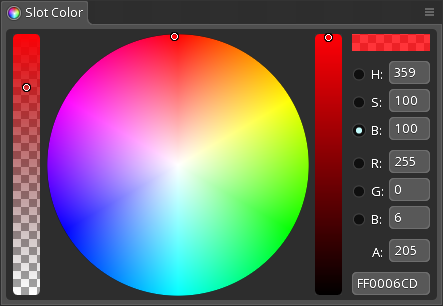 It can be sized larger to choose the hue, saturation, brightness, red, green, or blue radio buttons, then back to the desired size.